The evaluation essays are written based upon a certain criteria of the essay thesis. What you should do is to evaluate and judge the thesis from the criteria’s point of view that you have chosen. It is very important to pick carefully the criteria which can be debated well in order to create a good evaluation essay. You have to analyze correctly both sides of the criteria; you should also research and explore your thesis fully and provide numerous examples and ideas that prove it. Some authors claim that evaluation essays are similar to reviews, however, in order to understand what is important in writing an evaluation essay you should carefully read below. In order to choose the right thesis for your evaluation essay, you should first brainstorm and analyze different ideas and topics. Your topic could be something from your daily life or something you encounter for the first time. The important thing is to have a strong, reasonable and well-augmented opinion on it. The opinion can be negative, positive or even humorous; as long as it is well debatable and researched, it will do. At the beginning students find it easier to write on something they have experienced personally but it is not necessary. As long as you feel comfortable writing on a specific topic, you are welcome to do it. If you have problems understanding what exactly the criteria are, here is an example. Let’s say you have decided to write an evaluation essay on a book, movie or even on an ad commercial, the chosen criteria can be the plot, value, genre, chemistry between characters, etc. Think of what you are going to write about, how does it make you feel, how can you support that feeling, do you think the audience will feel the same way about it; if not, how can you make them accept your point of view. Think what the best example for your thesis is and develop it. Then again, analyze your thesis for one last time and make a draft of the whole essay. This way it will be easier to write it. The purpose of the introduction is to state your thesis and criteria and introduce it to the audience. The word count of the evaluation essay and therefore the introduction will depend on your instructor notes. The language of the introduction should be clear and understandable. You have to develop your thesis and criteria very well. It is good to make your introduction captivating and interesting in order to engage your audience. However, the most important thing in the introduction of your evaluation essay is to state clearly what you are evaluating and the criteria on which the evaluation is based. Some claim that the body of the essay is the most important part of it. However, an essay is a complex organism which has to be regarded as a whole. The body of the evaluation essay should be descriptive. In it you should examine and write in detail the evidence you have found which supports the chosen criteria and thesis. Writing an evaluation essay is easy if you have prepared well. In the body you should state at least three arguments that support your criteria and thesis. You can also use a counter argument but you have to debate it well and at the end turn it into your favor. Always double check the body of your evaluation essay. Make sure it sounds trustworthy, check whether there’s something missing, something that can be added in order to make it sound more professional. In order to write a good body of an evaluation essay you must research well, draft it in advance and brainstorm on it even after it is initially written. The conclusion of your evaluation essay should be strong and straightforward. Repeat the thesis you have chosen as well as the criteria. Also briefly remind your audience about the main arguments, ideas and points in your evaluation essay. 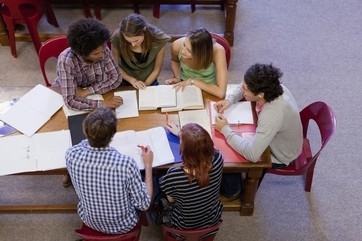 The conclusion is the place of the essay where you can make final overall evaluation of it. Always proofread your essay and remove any grammatical or contextual mistakes.